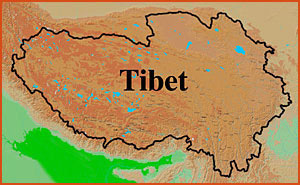 Tibet is located in Central Asia. It is on the highest plateau in the world and includes Mt. Everest (Jomo Longma in Tibetan). The Tibetan territory is five times larger than France. There are more than six million Tibetans living in Tibet under the Chinese government. About four million ethnic Tibetans live in the southern Himalayas under the governments of India, Nepal, and Bhutan. There are approximately 200,000 Tibetan refugees living in South Asia and other countries, including those living with His Holiness the Dalai Lama in India. Tibet has approximately eight thousand Buddhist monasteries and most Tibetans are Buddhists, living simply as nomads, farmers, merchants, and artisans with an ancient spiritual culture. Our supreme Dharma teacher, Shakyamuni, at thirty-five years old attained enlightenment of Buddha in Bodhgaya, India, on the fifteenth day of the fourth month, 2,592 years ago (591 B.C.E.). Buddha taught dharma for the next forty-seven years. Thereafter, the buddhadharma flourished throughout the world. Since the eighth century, around 1,300 A.B.B. (After Buddha's Birth), the Kingdom of Tibet invited many great Indian Buddhist masters, most importantly the Dzogchen Masters Bikkhu Shantarakshita, Mahasiddha Guru Padmasabhava, and Mahapandita Vimalamitra to bring Buddhism to the Land of Snow. In those times, the kingdom of Tibet sent approximately four hundred of Tibet's most intelligent young people to India. Only about one hundred survived the difficulties to return as translators. These young Tibetans learned Sanskrit and Buddhism, and then invited more than two hundred great Indian Buddhist masters to Tibet to spread the buddhadharma. The most renowned translators were Sambhota, Vairocana, Yeshe Tsogyal, Kawa Palzek, Chokro Lhui Gyaltsen, and Bende Yeshe De. Emperor Trisong Detsen and the Tibetan government offered an extraordinary amount of gold, jewels, and other resources for the purpose of bringing the dharma to Tibet. Within forty years, most of the Buddha's teachings, consisting of more than 370 volumes of Tantras, Sutras, and Shastras were translated into the Tibetan language at the glorious Samye monastery, Pangtang Kame, and Ushang Doi Lhakhang in central Tibet. As a result of the Buddha's teachings, great historical and cultural changes took place in Tibet. For example, twenty-five of Padmasambhava's disciples became Mahasiddhas, eighty people in Yerwa attained Rainbow Body, thirty practitioners from Chubori became great meditation masters, and twenty-five practitioners in Sheltrak reached high realization. Hundreds of hidden yogis attained Buddhahood and many Tibetans became fully ordained monks. In establishing Buddhism in Tibet some Tibetans opposed Buddhism and there were many obstacles to be overcome. 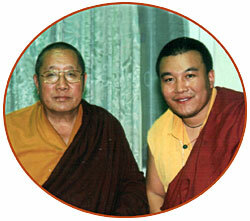 Eventually, thousands of Tibetans became Bikkhus and Dzogchen yogis and attained enlightenment. Because of the miraculous change in their way of life, the entire population of Tibet gradually became peace-loving Buddhists. It is now widely known that Tibet has preserved all three yanas of original Buddhism: the Shravakayana, Mahayana, and Vajrayana. Therefore, it is important to acknowledge Tibet's great contribution to the preservation of original Buddhism in the world. The original Vajrayana Buddhism brought from India to Tibet in the early eighth century is known in the Tibetan language as the Nyingma. Centuries later, new Vajrayana Buddhist branches, known as the Kagyu, Sakya, and Gelug, emerged. 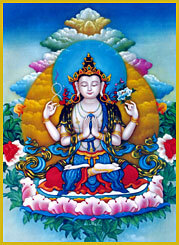 Through the Nyingma practice, from the beginning until today, many practitioners have achieved enlightenment of Rainbow Body. 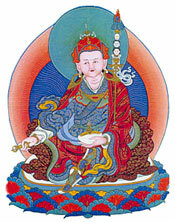 The Nyingma tradition has three sublineages divided into nine different branch traditions. 1. The general lineage: the Vinaya lineage of Pratimoksha, the Sutra lineage of Bodhisattva, and the Abhidharma lineage of Prajna. 2. The Dzogchen lineage of oral transmission: the wisdom-to-wisdom transmission of the Buddhas, the symbolic transmission of the wisdom holders, and the oral transmission of the masters. 3. The treasure lineage: the lineage of prophetic authorization, the lineage of empowerment and aspiration, and the lineage entrusted to the Dakinis. The most important of all lineages is the Dzogchen lineage, which is held by six monasteries located in three Tibetan areas. They are Dorje Drak and Mindrol Ling monasteries of Upper Tibet, Dzogchen and Sechen monasteries of Middle Tibet, and the Katok and Palyul monasteries of Lower Tibet. Dzogchen Monastery has made a great contribution to the perpetuation of Vajrayana Buddhism throughout Tibet. Currently, due to the efforts of the supreme leader of Nyingma, His Holiness Penor Rinpoche, thousands of Nyingma organizations, with millions of followers practicing Dzogchen, are flourishing around the world. If you are interested in Tibetan Buddhism, please contact us.